Monster Jam Returns For Detroit Encore!! **Thanks to the Feld Entertainment who provided complimentary tickets to view the show in exchange for me sharing this announcement. I received no other compensation. The thoughts and opinions shared are mine and mine alone. Others may disagree. 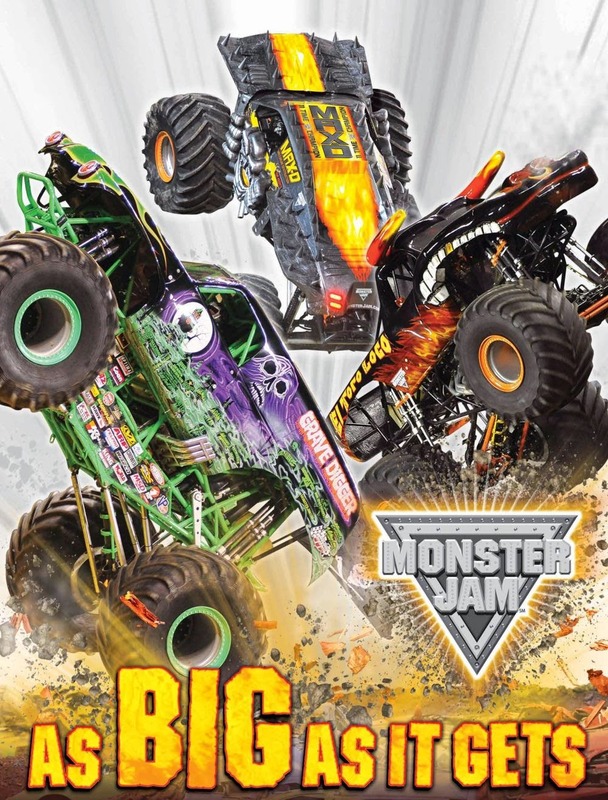 Monster Jam is returning to Detroit for one night in February! This is something my son and husband have loved using as an excuse for a little "guy time" and they look forward to it every year. The show never disappoints and it seems the more tricks and crashes that they see, the happier they are. It's true, Monster Jam was at Ford Field early on in January. This time, they'll be tearing up the track on February 28th. Also, you may be interested to know the tentative line up of trucks. Monster Jam® Trucks: Grave Digger® driven by Charlie Pauken, Monster Mutt® driven by Dustin Brown, Max-D℠ driven by Neil Elliott, El Toro Loco® driven by Chuck Werner, Monster Energy driven by Damon Bradshaw, MADUSA® driven by Madusa, Zombie℠ driven by Bari Musawwir, Lucas Oil Crusader® driven by Linsey Weenk, Avenger® driven by Jim Koehler, Wrecking Crew™ driven by Steve Koehler, Stone Crusher® driven by Steve Sims, Hooked driven by Steve Sims Jr., Thunder 4X4 driven by Jim Bendzick, Bad New Travels Fast driven by Brandon Derrow, War Wizard® driven by Darren Goin, and Titan driven by Donald Epidendio!